A little late on the Father's Day posting, but I was at home hunting through old photos to scan (the photo scanner can be crossed off my wish-list! :D). I had a blast, really. I only wish I had taken more pictures when I was younger. It is impossible to go back and recreate pictures, so I will have to savor and cherish what I do have. It's funny how old pictures tend to evoke completely different feelings as more and more years pass since they were originally taken. Anyway, I wanted to share some pictures of my dad and me when I was wee high...and apparently a boy. Proof below. Somehow between 3 years and 5 years old, I transformed into a girl. :P Whew. Oh yes, and we were super-FOBs who took pictures in supermarkets. So great. So, Happy Father's Day to a brilliant man and great dad. I could go on, but let me not get too mushy on this public space. 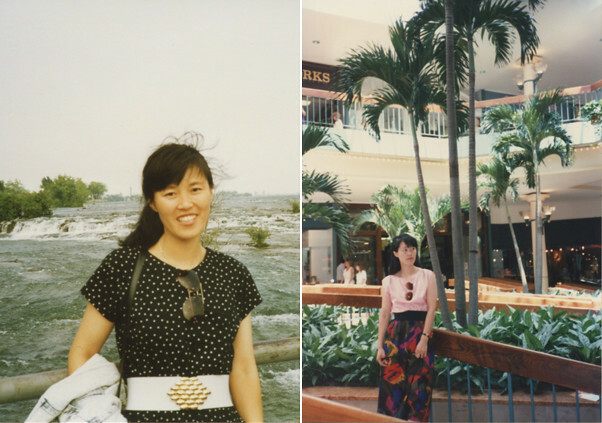 On another tangent, how damn stylish does my mom look in these super old pics?? I love it, I love it. omg!!!!! that's what they looked like!